Register by April 15th to be guaranteed a t-shirt. Race fees are non-refundable; bib numbers are non-transferable. Online Registration will close on April 24th at 11:59pm. Registration is available at packet pickup on April 26th at Gull Dam Brewing. 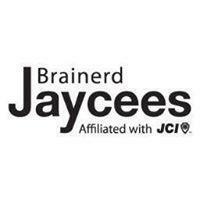 The Brainerd Jaycees Run for the Lakes has grown tremendously since the first event in 2008. The run now draws more than 1500 runners who wind their way through remarkable north wood scenery. The Run for the Lakes is organized from start to finish by volunteers of the Brainerd Jaycees and carried out with the support of over one hundred community members and several local businesses. All proceeds from the run are donated to various non-profit organizations.